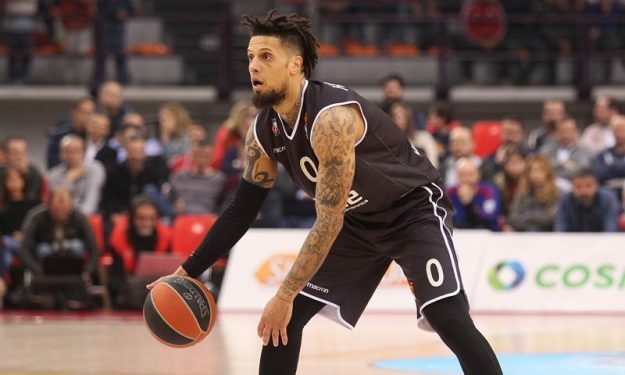 Brose Bamberg got a tough win on the road to end the regular season, while Bayern Munich won its eighth straight game. Brose Bamberg, FC Bayern Munich, and Alba Berlin all enjoyed wins on the final day of the German League. Even though the game was close throughout 40 minutes, Bamberg came out on top in Mitteldeutscher (74-76). The game was defensive all evening long and was decided in the final minute. Daniel Hackett’s free-throws with 20 seconds remaining iced the game as the hosts could not find a way to respond. For the winners, Dorell Wright finished with 16 points, while for the hosts, Lamont Jones had a great game, finishing with 27 points. With its eighth consecutive victory, FC Bayern Munich finished the season with a 31-3 record and locked the first place in the standings. Munich’s team easily defeated Bonn on the road. In Berlin, Alba easily defeated Ulm and improved its record to 29-5. Since the half, the hosts picked up a double-digit lead, and with Dennis Clifford scoring 17 points blew out Ulm 102-73.